The Baya Company was started with a vision to make good quality and affordable housing available to the middle class at strategic locations across the city. 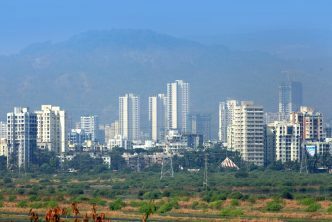 During our time as a consultant to some of the most renowned real estate developers in Mumbai, we realized that the real estate industry was focused primarily on luxury housing with enormous areas, typically more than 1000 square feet, and with amenities that are not absolutely needed, in locations that were probably not the best choices for working individuals. Homes were not being designed keeping in mind the user’s needs, and there was not a single attempt to strike a balance between the amount of space available, the price, the maintenance costs after occupation, provision of essential amenities and location. Our first batch of real estate offerings, The Baya Park, The Baya Grove, and The Baya Goldspot, focused on providing units of optimum sizes, defined as rooms having just enough space to move about after accommodating all essential furniture and storage space. However, what makes them stand apart, is the exceptional attention to detail through the positioning of windows to enable cross ventilation and natural lights, the minimization of wastage through passage areas, the maximization of common areas to provide an airy/spacious feel to the apartments and building as a whole. As an affirmation to our zest for exploration, the lobby constructed at The Baya Park continues to be one of the best in a residential building in a similar-sized project in Mumbai. With an efficient workforce and able leadership, we were able to complete all of our past projects nearly twice as fast as our competitors, exceeding the expectations of our buyers. Throughout our tenure, we have relied heavily on advances in construction technology and associated tools, which have ultimately helped us precisely determine the timelines for construction and deliver them with ease and elegance. We have partnered with the construction giant – Generic Engineering Construction & Projects Limited – to help us build our homes with their diversified and intrinsic experience. Our unwavering focus on efficient planning & design as well as structural stability, with the aid of eminent structural and design consultants at the helm, namely, JW Consultants and Architect Reza Kabul (ARK), has helped us become who we are today. To most of the real estate developers, onboarding construction and design experts mark the end of their responsibilities, but to us, the obligations begin the moment we start a project and ends with ensuring the building and its residents share a connection with each other. This ultimately helps us lay out the science and conscience of its innate feel in a better way. While we ardently plan all of our projects, this level of understanding helps us build our projects in a better way while ensuring that construction safety, speed, quality, and habitability is to our clients’ satisfaction. With our exceptional consultants and partners, vast experience at all levels in the workforce and passion for efficient execution, we kept our commitments in not one but all our projects. Even in the absence of the RERA Act and the MahaRERA rules, we set high standards and stringent goals for ourselves. The introduction of the Act only formalized our efforts and encouraged us to put special emphasis on complying with the rules and regulations made thereunder in order to instill a greater sense of confidence in the minds of our clients through the introduction of complete transparency. Today, we would like to reiterate our commitment towards a timely delivery of all our projects and thank our valued buyers, for, without their support, it wouldn’t have been possible for us to come this far. With the experience of successfully creating and delivering over 1500 units, we are now passionately executing our next batch of projects. All projects are ahead of schedule and the targeted completion date, as has been the case before, shall be much before the date mentioned on our MahaRERA registration webpages. 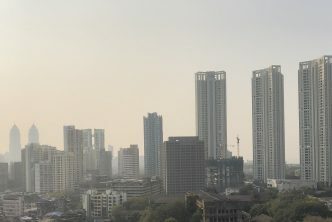 As a recognition of our efforts in strengthening the core of real estate industry, we were recently featured in the RealtyPlus Magazine’s pick of the month section for our Byculla project – The Baya Victoria and were also awarded the prestigious Star India Realty Awards for the best real estate website of the year 2018. 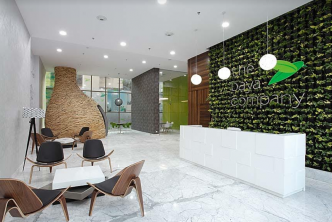 At The Baya Company, we always strive to break down the walls of complexity and offer services in their simplest and purest form. That is the reason we have launched the new Baya App, a one-stop destination to track every movement related to a buyer’s purchase. Here, they can check notifications on construction updates, check project-related documents, view payment schedules, and even make payments, all through this one app. That pretty much sums up the basic functionalities of such an app, then again, what are we doing differently? Once our customers move into their new home, they can also request maintenance services through the app, thereby ensuring a seamless exchange of services between us and the family of buyers we serve. Our app is available for free on Android and iOS platforms. The app is also optimized to use on iPad and tablets. Make sure to subscribe to our blog and be the first to know about updates. Disclaimer: The thoughts and views expressed in the blog articles are that of independent writers. None of the articles, quotes or comments express the thoughts and views of The Baya Company or any of its sister concerns.